YA Bound Book Tours: Book Blitz Sign Up: Summer of Irreverence - The Rock Star by Cathrine Goldstein! Book Blitz Sign Up: Summer of Irreverence - The Rock Star by Cathrine Goldstein! 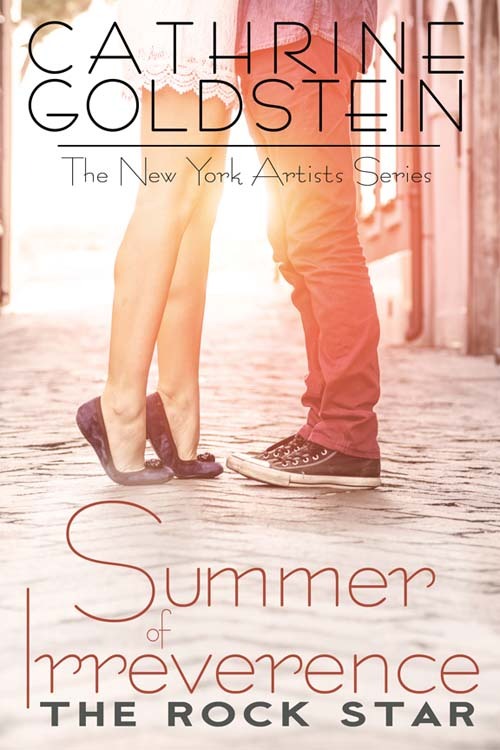 Rock star, Malcolm Angel, tortured by a dark past, may be the poet laureate of romance, but he, like science-minded Summer, has never believed in romantic love. How could he? With his history, he doesn’t deserve to be loved. When Summer’s honesty, kindness, and exuberance for life changes his perspective, the two discover they are in deeper than either dreamed possible. But when Malcolm discovers Summer’s been perpetuating a lie, will he forgive her? Even if forgiveness is possible, can a man immune to love teach someone else to believe in it? I am a bestselling author, and a NYC girl at heart. I write “gritty romance,” in the genres of YA, NA; women’s fiction; and romance. I’m also the author of The Letting and The Coupling, books 1 and 2 of The Letting series. I began my career as an award-winning playwright, and I am a proud member of RWA, PAN. I have my BA in English and my MA in Theatre. I am a fan of Luna Bars, decaf coffee, yoga, Hemingway, and Bukowski—and the loves of my life are my husband and my two young girls. Review Copies Available: EXOTIQA by M. Black! Cover Reveal: Ninja Girl by Cookie O'Gorman! Blog Tour Kick-Off: Home by Eleni McKnight! Cover Reveal: To Betray My King by Kayla Lavan!